This is more of a note to myself than anything else, but here goes. I’ve been playing around a lot with the MSP430 line of microcontrollers and I’ve been using the MSP Launchpad as a programmer. 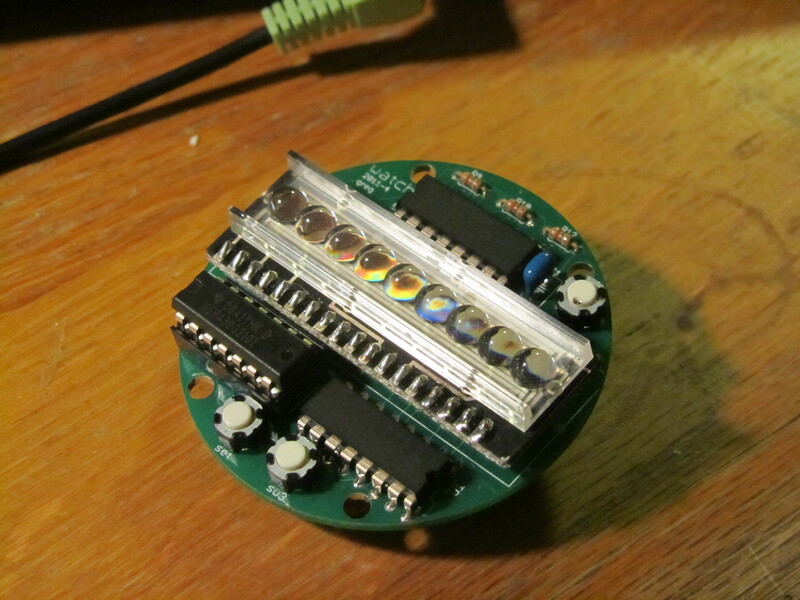 It’s an exceedingly cheap programmer ($4.30), so it’s pretty fun to play around with. 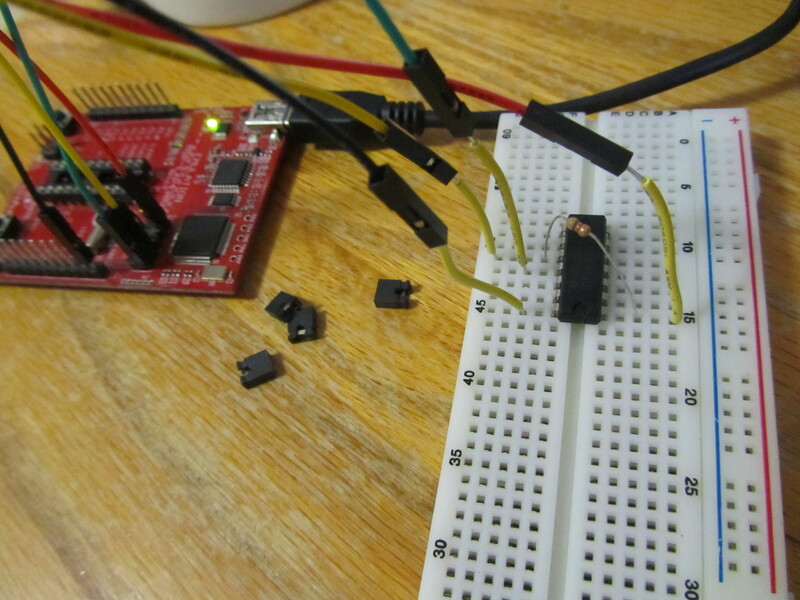 Basically, there’s a socket for a 14 or 20 pin DIP MSP430 with the pins broken out. Pop a chip in, program it, and play. Neat. So, to program the MSP430 microcontroller without socketing it into the launchpad, all that needs to be done is the following: remove all of the jumpers from the MSP launchpad. Then connect TEST and RST from the uppermost section of the launchpad to the chip that you’d like to program. Also connect GND to the ground of your design. That should be it, you’re ready to program. And don’t forget to put a 47kΩ resistor from Vcc to RST on your chip in your design or it won’t boot!